Who Will Benefit from Energy Healing? What Happens During an Energy Treatment? A balanced life integrates spirit, mind and body. As an energy healer and artist, Jennifer Stephenson McLamb endeavors to bring spirituality to every aspect of life. 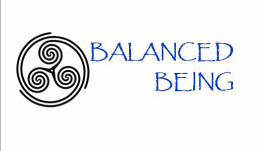 She created BALANCED BEING as a safe place to explore tools to assist you on your own path to a healthy, fulfilled and balanced life.